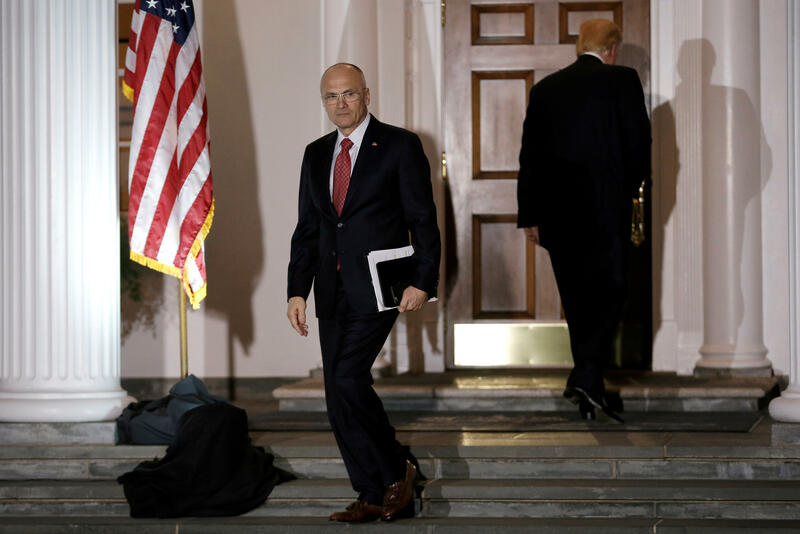 Labor nominee admits he employed housekeeper not authorized to work in U.S.
WASHINGTON -- Labor Secretary nominee Andrew Puzder acknowledged Tuesday that he had employed a housekeeper who wasn’t authorized to work in the U.S., as the Senate’s top Republican came to his defense and dismissed the issue as a “mistake” that had been fixed. It wasn’t clear all Republicans were following McConnell’s lead on Puzder, whose confirmation process was already complicated by his delay in filing ethics documents and Democrats’ questions about how a fast food CEO could be an effective advocate for American workers. Details about the housekeeper’s immigration status were not known. Nor was it clear when and for how long Puzder employed the worker. Puzder spokesman George Thompson said Tuesday that the fast food CEO remains committed to becoming labor secretary and is working on divesting from his financial holdings. But some Republicans on the Senate Health, Education, Welfare and Pensions Committee, which will consider the nomination, said they would look into the matter. Sen. Susan Collins of Maine, one of two Republicans to buck the Trump administration and vote against Betsy DeVos’ confirmation as education secretary, said she wants to hear more from Puzder at his hearing. Puzder’s confirmation hearing has been delayed at least three times, and Chairman Lamar Alexander has said he won’t schedule it until Puzder has submitted required disclosures on such matters as how he would avoid conflicts of interest as CEO of CKE Restaurants Inc. First, Puzder must get approval of the plan from the Office of Government Ethics, which had not happened as of Tuesday. Alexander, in a statement, defended Puzder. “Since Mr. Puzder reported his mistake and voluntarily corrected it, I do not believe that this should disqualify him from being a cabinet secretary,” he said. Puzder’s acknowledgement about the housekeeper is the second that goes against Mr. Trump’s vow to keep jobs in American hands. He also has acknowledged outsourcing CKE Restaurants’ technology help desk, the type of practice Mr. Trump derides as being anti-American worker. Democrats and their allies have piled on with unflattering stories from workers at Puzder’s restaurants, and they question how well he can advocate for American workers given that he opposes a big hike in the minimum wage and other labor priorities. Puzder is the second Mr. Trump pick who has faced questions over hiring of household workers. Mick Mulvaney, Mr. Trump’s pick to run the Cabinet-level White House budget office, had acknowledged that he failed to pay more than $15,000 in payroll taxes for a household worker more than a decade ago. He has repaid the government, and those developments do not seem to be impeding his prospects for confirmation. The Huffington Post first reported Puzder’s disclosure about the housekeeper.